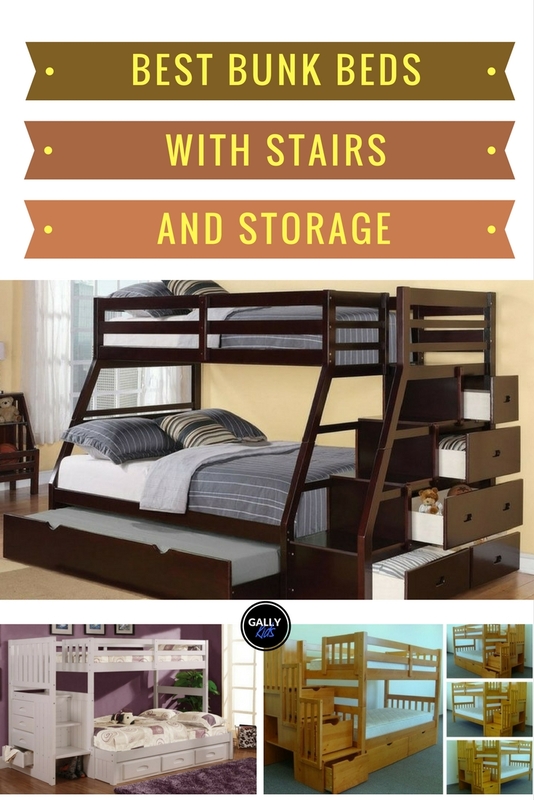 The Best Bunk Beds With Stairs And Storage That Make Bedrooms Look So Luxurious! 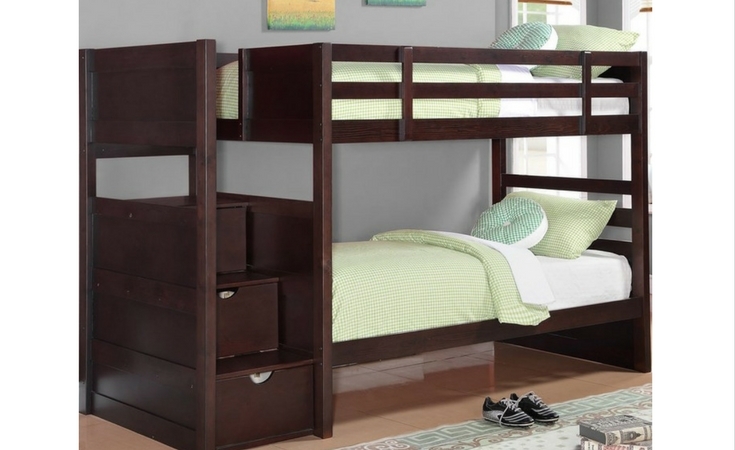 Bunk beds are great for siblings who share a room or for maximizing a small bedroom space. For many parents, bunk bed with stairs are a much better alternative to ladders. It gives them peace of mind knowing that their kids are safe when going up or down the top bed especially in the middle of the night. Another good thing about these beds is that they come with drawers which are usually built into the stairs. 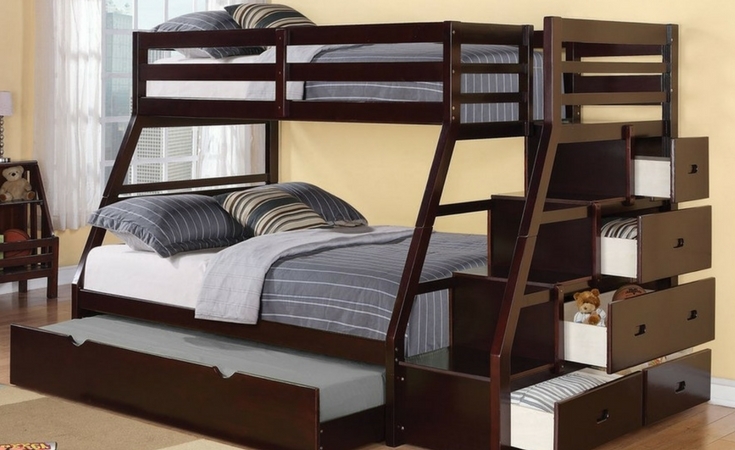 On this list are 7 of the best bunk beds with stairs and storage. We’ve also included the dimensions for each bed as stated on Wayfair and/or Amazon sites to help you decide which is the right one for your child’s bedroom. Note: Some of the links on this page are affiliate links. 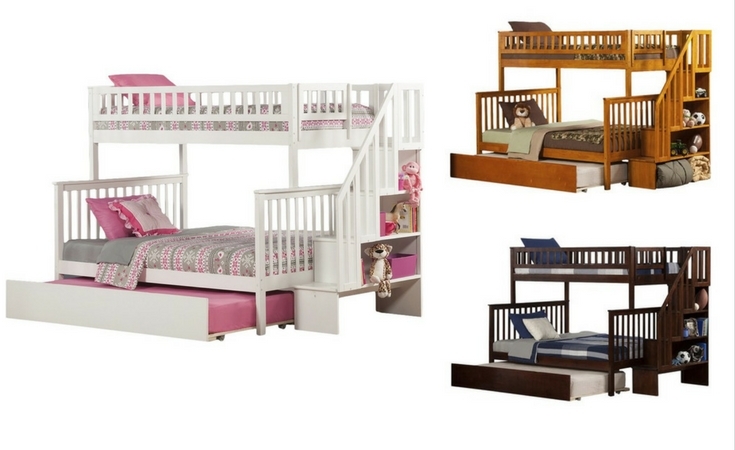 For a luxurious touch to your kids’ bedroom, have a look at the Shyann Bunk bed. Made of hardwood and with stability in mind, this is a sturdy piece of furniture. It’s strong with an 800 lb capacity weight limit i.e. 400 lb. for the top bed and another 400 lb for the lower bed. It also comes with a trundle bed which makes it great for sleepovers! 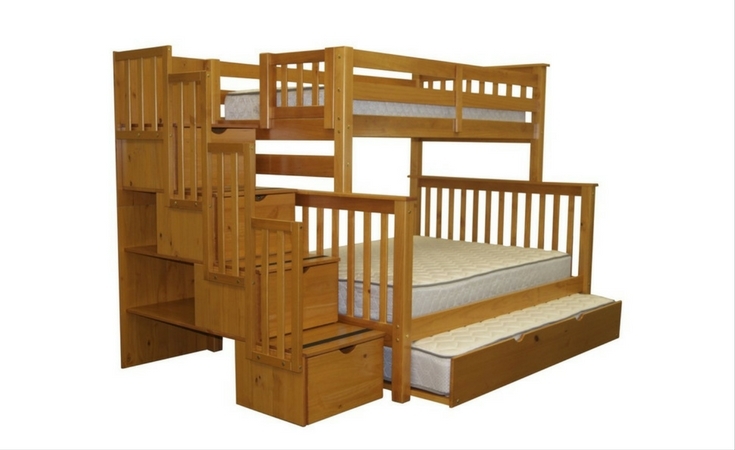 The beds come in two different sizes: the top bunk fits a twin bed while the lower bunk needs a full-size mattress. Another feature that’s worth noting is that this can be converted into two separate beds. So when the kids are ready for their own rooms, then you can easily convert this bunk bed into the respective beds in each room. the staircase with bookshelf can be installed on either side of the bed. This bed is a classic design that works. The Bedz Twin bunk bed doesn’t use too much space and the 5 different storage drawers make it even more appealing! What I like most about these drawers is that you can actually pull them out unlike some bunk bed drawers which are more like “cubby holes”. The two beds fit a twin mattress and the ladder can be installed on either side of the bed. The Reece Twin Over Full Bunk bed is an airy open design that should make any tween or teenager’s bedroom a place they’ll treasure. It’s not childish nor is it too grown-up. This is one of the bed bunk designs I’ve seen that has fully utilized the stairs with 5 big storage drawers added in. It’s nice wood espresso color also makes it a good fit for either a girl or a boys’ bedroom. This bed is another bunk bed + loft bed + trundle + stairs and storage combination. You can turn the trundle part of the bed into additional storage if you want. The beds are two different sizes. The loft bed and the trundle needs a twin mattress whereas the lower bed is bigger and requires a full-size mattress. The stairs also make the 4 storage drawers as well as two open spaces for a bookshelf or for displaying things. Another unique take on this design is that the loft and bunk beds can be separated into two different beds should the need arise. Pretty and dreamlike. 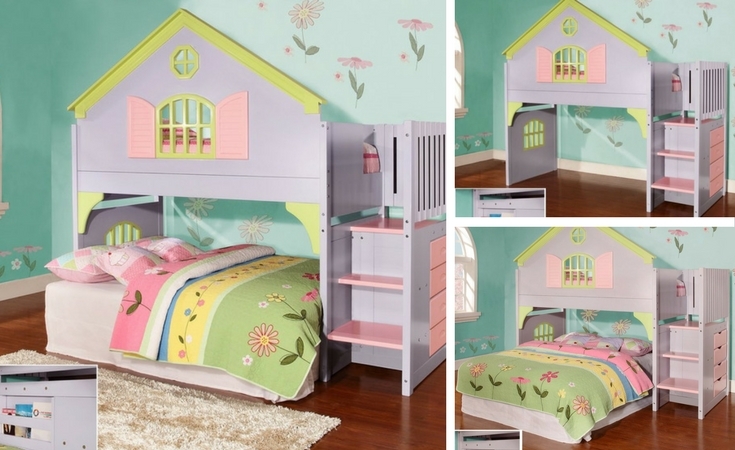 The beautiful pastel colors make the Dollhouse Loft Twin Bunk bed fit many kids bedrooms. This bunk bed with stairs is made with both durability and usability in mind. It’s sturdy and is made of solid pine wood. It also has a magazine shelf and 4 storage drawers which are great additions to better organize a child’s room. Comes with the twin bed on top and some space underneath it for an extra bed, desk, a play space or even a crib. Elegant and made of wood with a cappuccino finish, the Ryan Twin Bunk bed is great for small bedrooms. It’s 61″ high and 41.75″ wide. There are three steps of stairs to get to the top bunk. Each step is also a storage area which is obviously something you’ll appreciate if you’re buying this for a small space. This takes a few hours to set up but you can be assured that when you’re finished with it, you have a sturdy bed that your kids love. 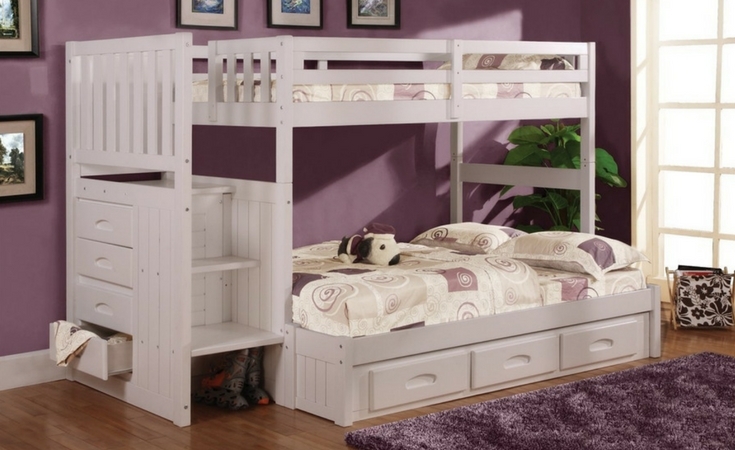 This white bunk bed a reasonably priced bunk bed with stairs and a white finish. It has 4 drawers for on the storage on the side of the bed. If you want additional storage, you can also pay extra for the 3 drawers or trundle bed underneath the bottom bunk. As you can see from the picture, the top and bottom bunks are different sizes, but this doesn’t have to be. You can make them both a twin size when you install it. Would you rather make your own bunk bed with stairs? Here are some video tutorials and walk through of other people who built bunk beds by themselves. There’s even one of a bunkbed for a dog! How sweet is that? In this video, Woody Buzon shows us how he made a full size bunk bed for his two children. The end-product looks very sturdy. It has a ladder system for getting into the top bed and a wooden railing for added protection. Dailey Woodworks builds this double bunk bed using a custom design template. This is an L-shaped bunk bed and is high enough so that it’s easy to sit up in the bottom bed. This is part 2 of Dustin’s video where he adds some more ideas for hand rails and other accessories for the bed. He also adds a cool pallet headboard. Very nice. 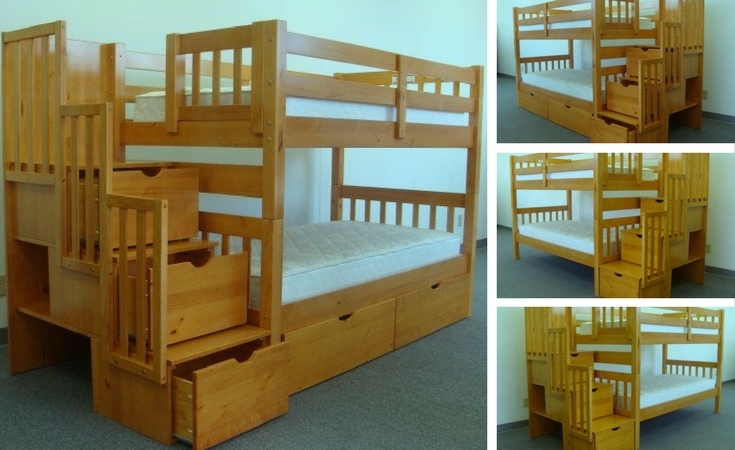 This simple bunk bed by Tyler uses 22 2×6’s and 3 1×6’s. It’s a simple design, but it’s made to last. Check out the lovely dark finish, too. He has stained the wood really well. Tyler also explains the process step by step. So if you’re looking for a design idea that’s easy to make, this is worth having a look at. 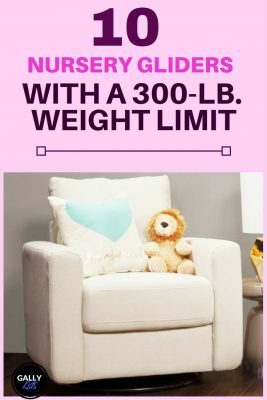 Rocking chair, glider, or recliner for the nursery: Is It really worth it? Note to other bloggers: Excerpts, links and 1 image may be used in your blog provided that full and clear credit is given to Gally Kids with appropriate and specific direction to the original content.